Luxor’s ancient wonders and UNESCO-listed treasures make it one of Egypt’s most impressive cities, and a horse carriage ride offers a unique way to explore. Trot along the scenic Nile Corniche, enjoy a glimpse of typical Egyptian life as you pass through local neighborhoods, and learn about Luxor’s rich history from an Egyptologist guide. Experience Luxor in a different light on this 3 hour private horse and carriage ride. You will be picked up from your hotel or Nile Cruise. 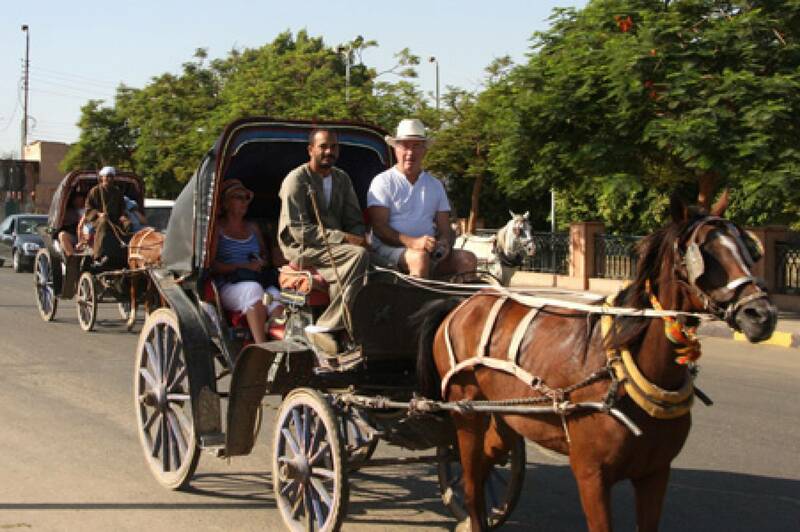 After mounting your carriage, the tour will go along the Corniche to explore the real life of an Egyptian in Luxor. After 3 hours learning about other people's culture, you will be transferred back to your hotel or Nile Cruise in Luxor.